Malaysia and Turkey signed a free trade agreement that will boost bilateral trade and diplomatic ties between the two countries. International Trade and Industry Minister Datuk Seri Mustapa Mohamed and Turkish Economic Minister Nihat Zekbejci signed the Free Trade Agreement between the two nations here this Thursday. According to Prime Minister Najib Tun Razak, who spoke in a joint press conference after the signing, Turkish Prime Minister Recep Tayyib Erdogan will ratify the FTA in the Turkish parliament in June for it to come into effect. 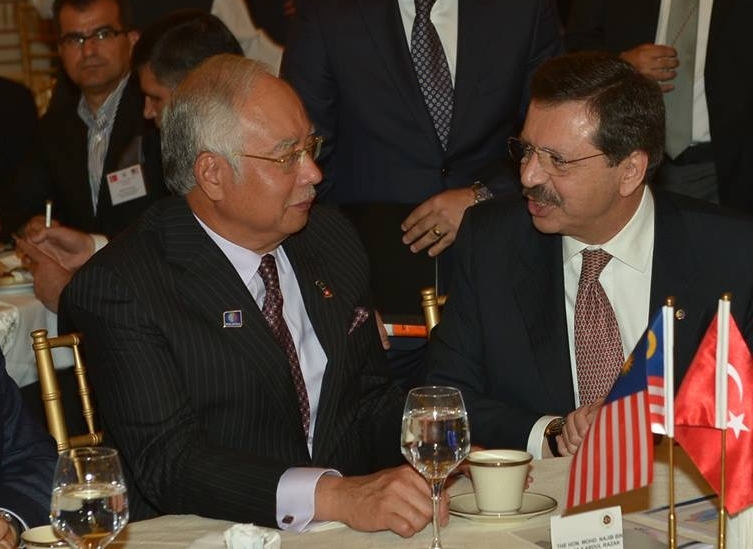 "The FTA has been successfully concluded to bring bilateral ties between Turkey and Malaysia to a new era," said Najib. He added both countries had realised that their combined ecomnomic potential had not been fully achieved. According to Najib, an economic corporation meeting will soon be held to discuss common goals that can be realised with the signing of the FTA. "As you all know, Malaysia and Turkey share the same goals as we both want to transform our economies to high economies - Malaysia in 2020 and Turkey in 2023," he said. Najib also said both countries supported each other in securing seats in the UN Security Council. 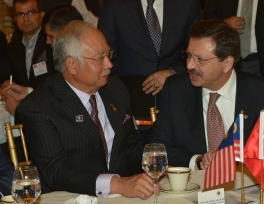 Negotiations for the FTA between Malaysia and Turkey started in May 2010 and was concluded on Jan 17 this year. Under the FTA signed between the two countries, Turkey will bind and eliminate import duties on 68.70 % of products. This will cover 67.8 % or USD 247.38 mil of Malaysia's exports to Turkey. Under the provisions of the FTA, Malaysia and Turkey will corporate in areas encompassing small and medium entreprises, halal related areas, agriculture and food industry, research development and innovation, health, energy, electronic commerce as well as automation. Najib and his wife Datin Seri Rosmah Mansor left for home late last night after attending a dinner hosted by Erdogan in his official residence.